Congratulations to Dr Alan Richardson and the occupational team (Associate Professor Peter Watt, Dr. Mark Hayes and Emily Watkins) of the Environmental Extremes Lab (EEL) who recently secured funding to support their research investigating firefighter and instructor health. The Fire Brigades Union will support Alan and his team with a £4,000 grant to create an educational package on health and wellbeing of firefighters, while Alan, Peter and Emily have also had a £47,000 grant accepted by the Fire Service Research & Training Trust to investigate the physiological responses and contamination of UK fire fighters over a 6 month study. 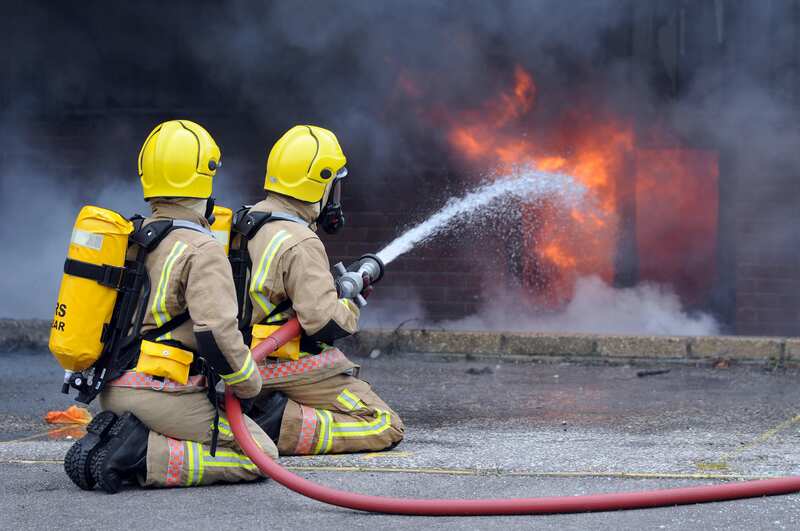 The team have recently had two papers published on firefighting, one looking at pre-cooling methods prior to severe heat exposure, the second is a national survey of firefighters and instructors on health and heat exposure workloads. All this work is contributing to national working practices and is great evidence of the impact from this research activity. Emily and Alan have also presented to various national Fire groups over the last few months, including the national leads for fire research to keep pushing the message of health and wellbeing amongst fire instructors and firefighters. Well done to the occupational arm of EEL! This entry was posted in Health, Heat, Occupational, PhD Student News, Research, Safety, Staff News by Neil Maxwell. Bookmark the permalink.